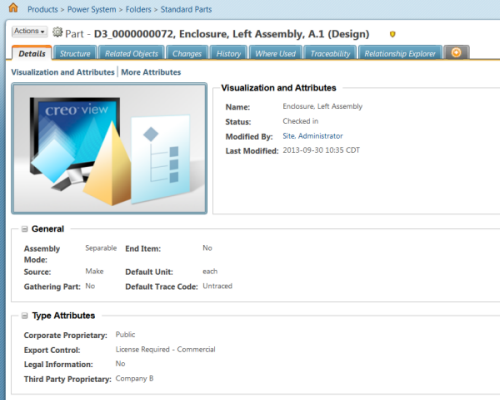 In PTC Windchill 10.2 M010, administrators can configure PTC Windchill to display configured security labels and values for an object on the object information page and in table columns. PTC Windchill 10.2 M010 documentation for configuring security labels includes new steps describing how to display security label names and values on object information pages and in configurable table columns. This feature requires a small additional configuration for customers who have previously enabled and configured security labels. 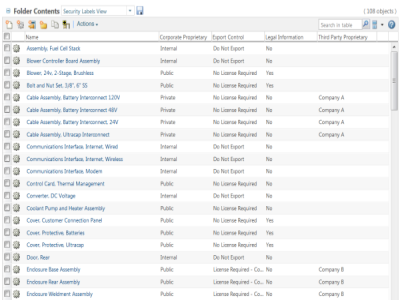 Displaying security labels on information pages and in table rows reduces the number of clicks to find security information about labeled objects. For more information, see the "Configuring Security Labels" section of the PTC Windchill Help Center. Steps 17 and 21 discuss the specific configuration requirements. Tip: Enter the topic name in the PTC Windchill Help Center search field to easily navigate to the topic.